Blood Status: Halfblood - Her pureblooded father married a halfblood witch. Katherine has inherited her mother's pale complexion and straight blonde hair. Her most notable feature would be her bright blue eyes which are round and slightly owl-like. She isn’t overly tall either and has reached her adult height of five feet four and a half inches. . Her physic is slim and has developed some curves due to the use of corsets. When she isn't in her school robes, she dresses in the latest muggle fashion and prefers them to be in pastel shades although at home it is a common sight to see her in wizarding robes. Her hair is placed up in intricate braids using a variety of hair accessories. ※Her Patronus is a butterfly but has yet to cast a corporeal one. ※Her boggart is the corpse of her dead mother. ※Due to their family business, she has an extensive knowledge about fabrics whether it was local or exotic once and charms used over them. ※She likes painting, reading, archery and embroidery. ※Her amortentia is composed of Lavender, peaches, chocolate & parchment. ※She lacks the talent in handling musical instruments but is blessed with a good singing voice. 1870| Kat is born and named after her two grandmothers. Cassandra Midford finds out that she could not bear more children due to complications. Although saddened by the news, the couple would still find the baby a wonderful addition to the family. 1875| She was raised to become a refined young lady of society. Katherine proved that she had wits. She was quick to learn several languages which were French, Latin and Basic German & Italian. 1877|Despite mourning, Kat continue on with her lessons. Her governess also praised her talent in painting and singing but was disappointed with her mediocre skills in playing the piano. Due to the influence of her brother, she becomes interested with the stars and frequently does star-gazing with him. 1879| Her brother is sent to Hogwarts and is sorted in Slytherin. She is left in the company of her younger cousins. 1880| She was not completely excited for Hogwarts as she was an extremely quiet and shy girl. Katherine could remember being uncomfortable with the atmosphere of the the Great Hall. When she was sorted, the sorting hat contemplated on Slytherin or Ravenclaw and decided that Ravenclaw best suited her. It was a shock and she was quite disappointed with the result but a few weeks later she settled quite well at her second home. 1880-1883| Majority of her time was spent studying. 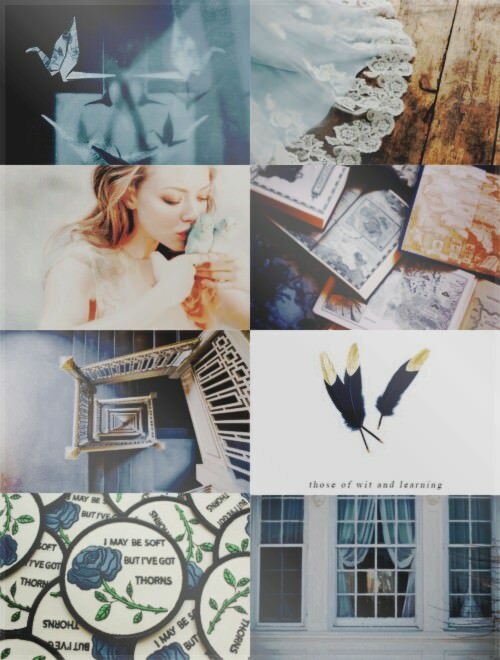 Astronomy, History of Magic and Transfiguration were her favorite subjects while Herbology was her worst. Her brother thought that she spent too much time studying so he pushed her to socialize more. She takes Ancient Runes, Ancient Studies and Divination for her electives in Third Year. 1884| She is more friendly and open this year. She is friends with several girls in her house as well as other houses. She is thankful at her brother for his patience in helping her grow more social. Kat also develops a crush on a boy named Rasmus Mohr and was even bold enough to tell her his feelings during the Valentines Day ball but was rejected. 1885| Kat couldn't be more happy at receiving her prefect badge as she jumped in joy while reading the letter.She had also launched her plan on making Rasmus fall for her. She joined his little History Club with another Ravenclaw. She enjoyed History and through the months she had grown attach to both Clayton Ross and Raz. On Valentines Day, she gets stuck under a charmed rose arch and was forced to kiss her crush and to her relief their relationship did not become awkward. Also during her summer break, she was on internship under Barnabas Skeeter in the Ministry's Dueling Commission. 1886| She is contemplating on what she really wants to do in life as at the moment she is really confused. On one hand she wishes to work for the ministry and the other she would like to become a debutante. 1887|She was appointed as Head Girl. Her mother was also mauled by a beast during the World Wizarding Fair in summer which Kitty had the pleasure of watching. After that she seemed to show post-traumatic symptoms such as nightmare and difficulty in falling asleep though she manages to facade a happy disposition despite the guilt she was feeling as she blamed herself for the death of her mother. During winter holiday she finds out that her father - who had also taken a big blow with the death of Cassandra- had gone of to travel to an unknown location since October which her brother had hidden as to not worry her. They had not yet heard back from him. ※Her family owns a textile factory and frequently does business with muggles. ※Katherine was a former prefect and Head Girl at Hogwarts as well as the Astronomy Club President from 1885 to 1888. ※"Mr. Kenton Yaxley danced with that Head Girl, Katherine Midford, at the Coming Out Ball, even though he's really much too young to be seeking a wife!" ※"Mr. Handsome Whitledge and Miss Katherine Midford—you know, the Hogwarts head boy and head girl that just graduated—were seen exchanging banter at the Pendergast's recruitment luncheon! Someone even said they were flirting." ※The Midford's are known to be users of dark magic. ※Her father has sailed off somewhere without telling anyone. No one is suspicious yet because the family is in mourning and are more or less excused from attending social functions. Plot Preferences: ※Katherine is currently open for new plots and new threads.